You may be thinking, "What a boring subject for an article," and you would be right. However, as boring as the interface between your camera and lens might be, the significance of your camera's specific mount, along with which lenses can be used on your camera, which lenses can be adapted to your camera, and why some lenses work and others do not, can prove to be a more interesting subject that may even inform which camera or lens system you eventually buy. 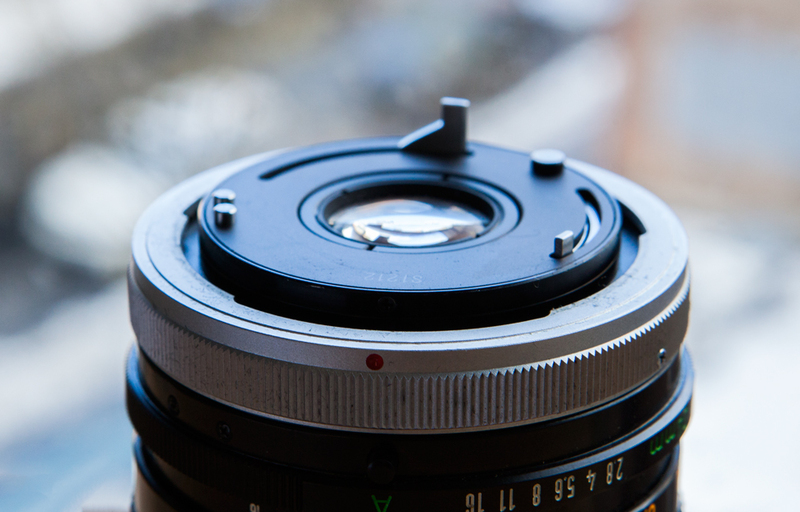 What Does a Lens Mount Do? 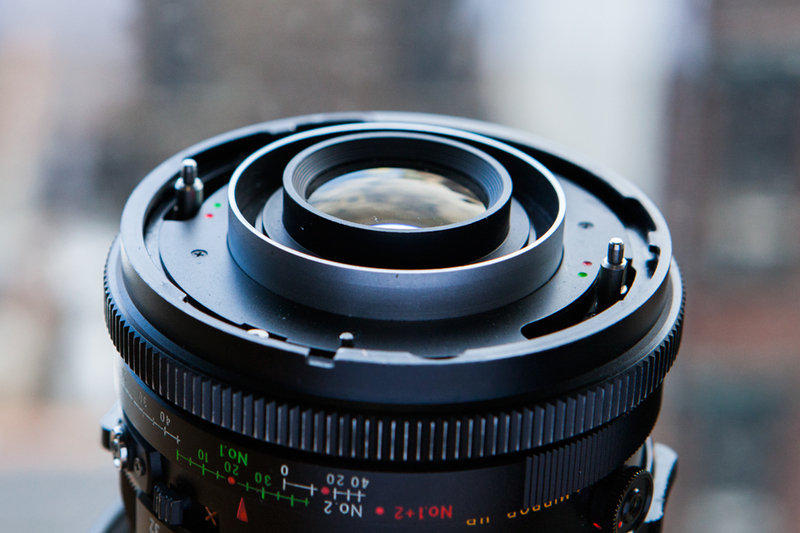 A lens mount is a standard or proprietary interface used by camera and lens manufacturers to ensure a secure and accurate means for attaching a lens to a camera body. Each camera system nowadays uses its own unique mount that limits compatibility between lenses and other manufacturers’ cameras, and also enables electronic communication between the lens and camera to achieve accurate focus and exposure. Most lens mounts in current use are bayonet style, in which a lens is attached to the camera body by registering the lens in proper orientation with the camera body, then giving a slight twist of about 45-90° to lock the lens in place. Prior to the bayonet mount, a couple of other mounting styles were commonly used, namely thread and breech-lock mounts. Thread mounts, or screw mounts, are self-referential and describe the action of threading your lens onto the camera body, much in the same way you thread a nut onto a bolt. Breech-lock mounts are more closely related to bayonet mounts; however, they use a self-contained rotating ring on the lens itself to tighten the lens onto the camera body with friction. Bayonet mounts are the most favored of these three mounting types, due to the ease and speed of installing and removing lenses from camera bodies, the ability to incorporate electronic contacts using this attachment method, and the repeatable precision afforded by a simpler design. 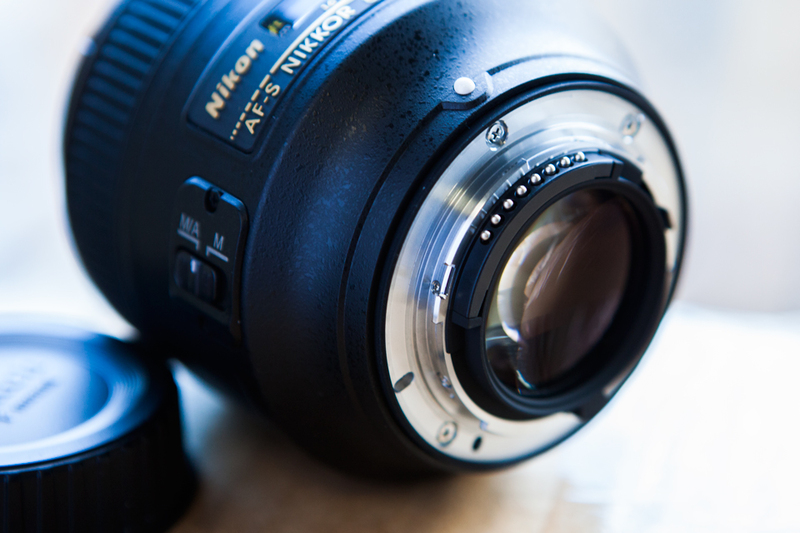 What’s in a Lens Mount? 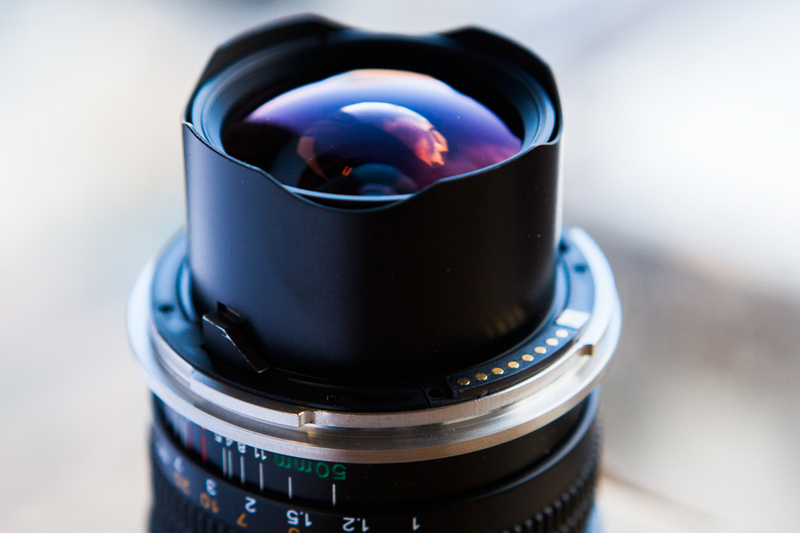 Besides connecting a lens to a camera and sporting a certain design style, lens mounts also have a number of distinctions from manufacturer to manufacturer. Size is the main differentiator between the various mounts, and is a slightly more complex measurement than you may imagine. The number of tabs in a specific bayonet can vary from one manufacturer to another (although most use three tabs), the direction in which you rotate the lens to connect with the camera body varies among brands, and the incorporation of electronic contacts will also be unique to the camera and lens manufacturer. Furthermore, each mount corresponds, arguably, to the most important element of this article, a specific flange focal distance (FFD). This measurement, which describes the length from the mounting flange (the edge of the lens mount on the camera body) to the image sensor or film plane, varies from manufacturer to manufacturer, and is one of the true limiters of the interchangeability of lenses with specific cameras. The flange focal distance of each camera system is factored into subsequent lens designs, and is a constant length used by each manufacturer to ensure accurate focus from a specific lens’s minimum focusing distance to infinity. Using a lens with a specific FFD on a camera system with a shorter flange distance, you will not be able to achieve infinity focus. This distinction is the key element in which lenses can be used on camera systems other than the original one the lens was designed for, via a lens adapter. Spurred by the somewhat recent advent of mirrorless camera systems, a renewed interest in the ability to use a wide array of third-party lenses has also occurred. Due to the self-referential design of these cameras, the lack of having a mirror in a camera body design affords, besides a more compact overall design, a shorter FFD. By having this shorter registration distance, you can theoretically mount any lens with a longer FFD on a camera with shorter FFD through the use of a lens adapter. The lens adapter effectively serves to make up the difference in focal flange distance between the camera and lens—for example, a Nikon F lens to Sony E adapter makes up the difference of 28.5mm to provide the proper total 46.5mm of focal flange distance for a Nikon F-mount lens to achieve infinity focus. While this is the ideal situation, to mount lenses with a longer FFD on cameras with a shorter FFD, adapters do exist that allow you to physically attach lenses with shorter FFD measurements to camera bodies with a longer FFD. The caveat with these adapters is that you will not be able to achieve infinity focus without the inclusion of a corrective element in the adapter itself, and it is unlikely the quality of this corrective element will match the quality of the lens being mounted. However, without the corrective lens in place, this combination will afford the ability to work at focusing distances less than infinity, since the lens adapter is now functioning as an extension tube. 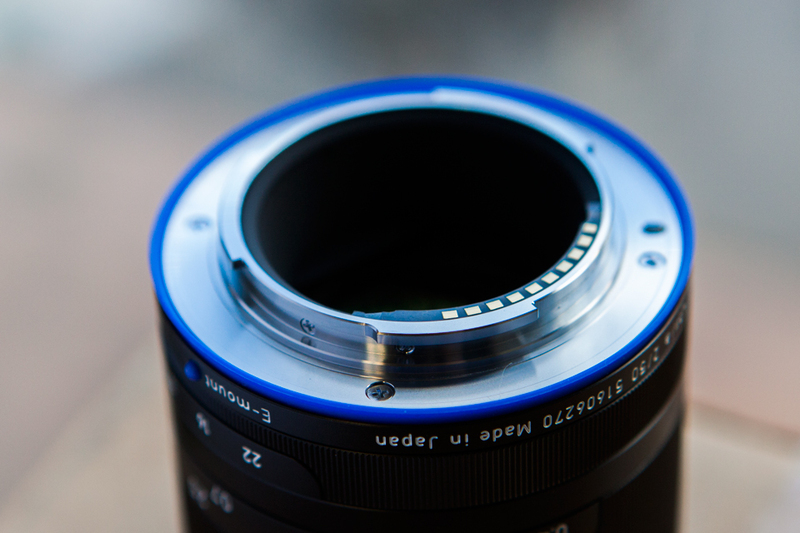 With this basic concept in mind, lens adapters can also be substantially more sophisticated and maintain electronic communication between the adapted lens and body through the use of dandelion chips, with some adapters even capable of retaining a lens’s autofocus and image-stabilization capabilities. On the other hand, completely manual adapters will not convey any information between the camera and adapted lens, forcing you to manually focus and adjust the aperture settings on a lens, and work in manual or aperture-priority mode on the camera. One additional type of adapter that has gained tremendous attention over the past few years is a style designed exclusively for APS-C and smaller format mirrorless cameras, most commonly Sony E, Fujifilm X, and Micro Four Thirds systems, that has been popularized by Metabones and Mitakon Zhongyi. With the exception of Sony E-mount now being featured on full-frame cameras, these mounts typically correspond to crop-sensor sizes and, as such, are associated with terms like “crop factor” and “equivalent focal length.” This batch of lens adapters strives to make these terms somewhat moot by incorporating a condensing lens into their design to minimize, or in some cases eliminate, the crop factor and increase the amount of light reaching the sensor. This is accomplished by projecting all of the light gathered by the lens onto the image sensor, rather than just simply losing the light that would typically be cropped out by the smaller sensor dimensions. We would need to know what brand/model microscope you own or plan to use with the Basler Sprint spL4096-140kc Camera Link camera. We may then see if we have an adapter for your camera/microscope usage needs. If you can give us the brand/model of the microscope you plan to use, we can check on your inquiry. You may e-mail us at askbh@bhphoto.com with the above camera model and the brand/model of the microscope. LUMIX DMC-FZ35, so I can use that lens. Unfortunately, due to the long lens design of the Panasonic Lumix DMC-FZ35 Digital Camera and it has a non-removable built-in lens, the Panasonic Lumix DMC-FZ35 Digital Camera would not be a good recommendation for astrophotography usage needs. The T2 adapters are designed for use with cameras that use interchangeable lenses. It may be better to either use a smartphone with an appropriate adapter or purchase a camera which uses interchangeable lenses for your usage needs. Otherwise, if you have a point-and-shoot camera that has a shorter zoom lens and smaller lens size, there may be an adapter for use with such a camera. Excellent article, exactly what info I was looking for. I didn't know the exact terms, but I figured the science behind it was pretty simple. I searched trying to figure out why my adapted lens was stuck to macro only. Can I use it with Olympus OM-D E-M1 camera? Will the Sigma 18-125 F3.505.6 DC OS HSM work with the MC-11? Has anyone tried this combo? No, the Sigma 18-125mm F3.8-5.6 DC OS HSM lens is not identified by Sigma Photo as compatible for use with the Sigma MC-11 Mount Converter/Lens Adapter (Sigma EF-Mount Lenses to Sony E). The Sigma lenses and the Sony mirrorless cameras which Sigma lists as compatible for use with the MC-11 Lens Adapter are listed under the "Compatibility" section under the Overview tab on our website. Unfortunately, there are no adapters allowing Canon EF mount lenses to fit onto the Nikon Z mirrorless cameras at this time. If one is released, we would definitely announce this through our e-mail newsletter. I have a bit of an idea about photography, have zero idea about flange, I came across this article trying to find advice about connecting my sony alpha to my telescope, I have the T2 mount, I need to figure out the adapter, for 1.25 eye piece. So any help with that would be great. What i would like to know I have a pentax film camera with fish eye lenses my feeling with the pentax is that its pre auto focus and i was wondering if there was an adapter, I also have an canon film camera thats more modern with auto focus, Is there away of attaching that to the camera. Thanks, I have zero idea. I was late to try an adapter to my July 1 purchase of a Sony A7RII. Bought at the same time a Photodiox made a great combo sorta for a short period of time. On the other end I mounted a Nikon 50mm f1.8. Some great closeup portraits. But it became noticable each time I turned the camera on again, I didn't get instant communication. Always futzing one direction or the other to get connected. Cleaned all contacts. Still no better. About a week later and a couple dozen uses I shut the A7RII off and started to walk away and noticed a hum thinking it was the diswasher at first! It was the camera and it was off! I took out the battery and the humming finally stopped. Thereafter I returned the adapter to Photodiox. The camera was never quite the same but would take ordinary pictures No HDR, no pano or anything requiring multiple writes to a 10speed 32mb disc. And about 45° temp. An error message said turn camera off and back on. The shutter would actuate and the same msg would appear. Tried removing battery, card and everything imaginable, nothing worked. Except waiting 5-10 minutes and trying again. I returned the camera at that point. Since then, no adapters! Give me a used $500 A7RII and I might try that combo again but never will I try an adapter on a new camera again. I've read the reviews and none of them (automatic) are worth the risk. Great article, but what I really want to know is this. If I take a legacy lens, for instance a old film (35 mm days) Pentax 50 mm f1/8 lens and attach it to my Fuji XT-1 mirror-less camera using the appropriate adapter, I understand that it becomes effectively a 75 mm lens (1.5 crop factor) BUT is it still an f 1/8 lens or not? If not, how many stops do I lose? I would love it if someone could clarify this! Thanks. The lens' f-stop does not change. The lens would still have an f/1.8 aperture. If you require a lens adapter that would allow you to connect a Pentax K-mount lens mount onto the Fujifilm X-mount lens mount, the Vello Pentax K Lens to Fujifilm X-Mount Camera Lens Adapter with Aperture Control, B&H # VELAFXPKA, would be recommended for your usage need. Hello! I have a question. Recently I bought a PL modification kit from Wooden Camera for Canon c300mk2. I have installed it and it worked fine (with 1cm focus of on 2m distance) with Ultra Prime Lenses from Carl Zeiss. Today I tried it with older Zeiss Lenses (Opton - Oberkochen) which are Arri Bayonet type. I used dedicated adapter to PL, and the focus was off completely (on a Infiniy setting, the subject within 1 metre was sharp). How is this possible, If we used the same lenses with Arri Alexa Mini, and both of them worked fine (Ultra Primes, and Optons with adapter) without any backfocus adjustments? Hi, I have a Mitakon Wide MC Lens 28mm f/2.8 and I'm not too sure what mount is. I did some research and i think its either Pentax K or Olympus OM mount. Would it be possible to use this lens on a Minolta x570 or Canon Ae-1 Program body? If so, do you have the adapter in stock? Thank you! Hi, I have an old Sigma 50mm F2.8 AF Macro lens and would like to know if I can mount it on a Canon EOS 1000D, is this possible? I can't find any info on this. Thanks! Assuming that the Sigma 50mm lens you own has a EF mount, then you can use that directly on a Canon EOS 1000D without any adapters. However, the lens would have a crop factor of 1.6X applied to it, making the focal length more like 80mm. I do not think so. Unfortunately, there almost certainly is not enough room to easily build an adapter that would allow the use of a Sony FE lens on the Nikon Z-mount lens mount. In order to produce an adapter that permits focus to infinity without corrective optics, the flange-to-film distance the lens is designed for must be greater than that of the camera body it is to be adapted to, giving room for the adapter. Unfortunately, I do not think there is enough room for the metal material needed to create an adapter for Sony FE mount lenses without needing to make the adapter larger and using corrective optics to re-focus the light to the sensor. I have a canon 70d with 24-105L and 70-300L lenses. Will there be an adapter to use with the new Nikon z mirrorless? I can't afford all new lenses for a new system so hoping to find a lighter camera that is good semi pro to pro quality where I can at least start with the lenses I have. Or any other suggestions for a suitable camera? Haven'[t been impressed with the canon m reviews. I still have my Pentax lenses (and cameras) from years ago. Is there an adapter available that would allow me to use my Takumar screw mount lenses and my K-Mount lenses? I do understand that there will be no electronic interface available but being "old school" I am more than comfortable with manual focus, zoom and exposure. If you wanted to use the Takumar M42 screw mount lenses on a Pentax K body, then the FotodioX M42 Lens to Pentax K-Mount Camera Mount Adapter B&H # FOM42PKV1 would be an adapter you can use. I am quite new to photography and love landscapes and still-life photos. I am using a Canon Rebel T6 I happen to have several legacy lenses from my grandfather's Canon TX. One of these lenses is a "28mm f/2.8, JC Penny multi-coated optics, No. 8017909, made in Japan" and another lens is a " Canon FD 50mm f/1.8 S.C. made in Japan". If I use an adapter for these lenses to my Rebel T6 will the adapter hurt my camera? If not, which lens adapter do I need? I am completely lost and any help would me much appreciated. This article was helpful, but I'm still a little confused. I have a Nikon d3300 and a bunch of Minolta MC lenses (from the 70s). I get there is a problem to adapt them because the Nikon has a FFD of 46.5mm and the Minolta a FFD of 43.5mm which means I cannot get infinity focus because the minolta lens would be 3mm to far from the sensor than it is designed to be. From what I understood, one way around it is to use a glass element to act as a teleconverter to refocus the light. This makes the lens a little more telephoto, it makes the aperture effectively a little smaller, and most importantly it lets you focus on far away subjects. However, if the sensor in the d3300 is cropped do I still need the glass element, since the lens will already be more tele with a cropped sensor? What adaptor should I get? Thank you for clearing that up! I was really confused trying to figure this out. Auto Tele - Lentar 1;2.3 f = 135mm No 7200451 made in Japan. The lens is all metal, pretty heavy and is not a screw on mount - looks just like the mounts for my canon but with a piece of metal sticking out - I have photos but don't know how to load them onto her or put up a link to them. If you have JPEG photos of the lens, you may send them via e-mail to prophoto@bhphoto.com, along with your inquiry, and we will attempt to assist you with seeing if there is a lens adapter compatible for your usage needs. If possible, it would help if you may include an image of the front of the lens (especially if there is any text around the front lens element), as well as a shot of the rear lens mount (possibly from a straight-on angle), as well as a few images of the barrel of the lens. 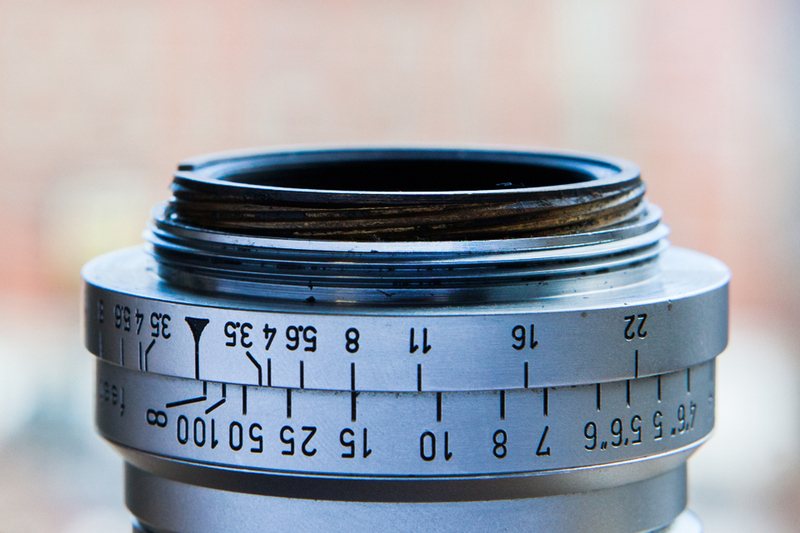 Any word/text on the lens would be beneficial in identifying the lens model. Unfortunately, the first two images on your link did not load, and the other four images only show the barrel of the lens at slightly different angles, but no direct view of the lens mount. If you can take a photo of the front of the lens (especially if text is written around the front element) and a direct/full shot of the rear lens mount, and then e-mail the images to prophoto@bhphoto.com, we may be better able to identify the lens and/or lens mount and see if we have an adapter for this lens. I have an old Jupiter 11 135mm f2 lens with a screw mount of M39, need to adapt to my OMD em1 mark ii MFT, what adapter do I need? The Novoflex Leica M39 Lens to Micro Four Thirds Camera Adapter would be the only M39 screw mount adapter that we currently offer that will be compatible with Micro Four Thirds cameras. what would be really terrific, (and stop me spending hours on the net trying to find), is a comprehensive side by side back view of the various electronic lens connections. such as cannon, sony a and e, petax, nikon, sigma, etc. why? because i often see adds for 2nd hand lenses that DON'T specify which camera they're for, and even sorting through my vast collection of lens trying to remember what camera they're for. WHAT WOULD BE A GOOD ALL AROUND LENS TO USE WITH THE BLACK MAGIC URSA MINI PRO 4.6K? The Sigma 18-35mm f/1.8 DC HSM Art Lens for Canon is a great option for an all purpose wide lens that is also very fast and will give you a cinematic look. If you paired it with the Sigma 50-100mm f/1.8 you would have two great lenses that would serve as multiple, fast prime lenses. Your key cinematic focal lengths will be covered with these lenses. I have two old Sigma lenses they were used on a old Pentax P3 (late 1980s). I would like to use them on a Fuji X-T2 camera. The lens has an aperture ring, but people are confusing me as to a 'SA' or 'PK' adapter? I have an old Ricoh camera and I don't see lens or lens mounts in the lens list; it is an XR500 bayonet lens mount; are Ricoh not such a sought after camera like they were years ago? I have an old Canon lens that I'd like to use with my Rebel T6i if at all possible. I think I've narrowed the old lens down as an "FD Breech" type connector, but I'm not very camera savvy. Does anybody know what kind of adapter I should be looking for? These manual adapter do not maintain automatic lens control between the camera and lens. Aperture priority or manual shooting modes should be used, as well as stop-down metering for exposure control. I need an adapter to connect a Carl Zeiss 4456307 63mm 1:4.5 microscope objective to the 55-250mm lens of a Canon EOS 80D camera. Does anybody know which adapter I would need and where I can get one from? minolta MD to Canon EF mount = 0.5 mm difference. Can a mount adapter really be made to this minute spec? DOES ANYONE HAVE a non lens corrected one, does it work ok? Sounds like a case where a CORRECTIVE LENS wouldnt be needed. Complaints? Noteable probs? Focus max issues? In theory, in order to create a lens adapter that will retain infinity focus without the need of corrective optics, you are correct: the flange-to-film distance the lens is designed for has to be larger than that of the camera body on which you wish to use the lens, giving room for the adapter. The Canon EF lens mount has a flange focal distance of 44.0 mm, while the Minolta MD lens mount has a flange focal distance of 43.5 mm. However, in reality, for this to work, there must be enough room and metal available to place the original lens mount on the front and the camera's lens mount on the rear of the adapter. 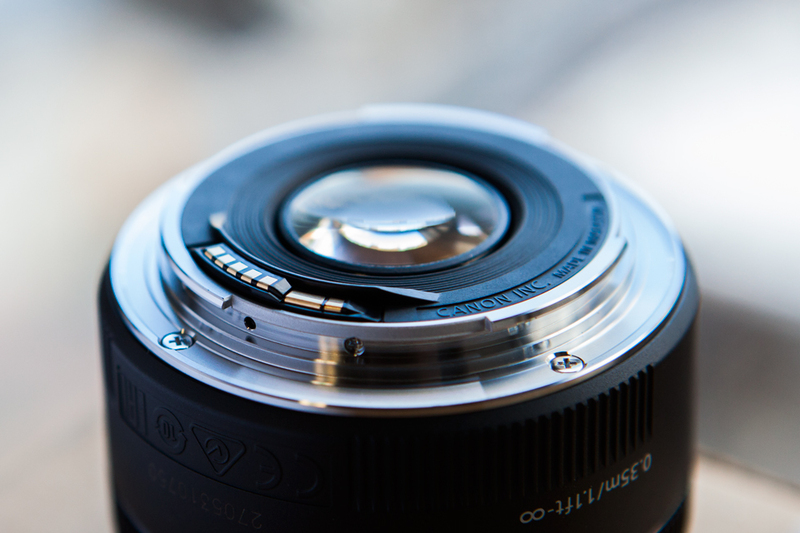 Unfortunately, 0.5 mm does not leave enough room for the metal for both lens mount connectors without making the adapter itself brittle to the point of breaking from stressing the metal due to extreme thinness. In order to make the adapter strong enough for usage and to support the weight of the lenses while the lens is mounted on the camera, the adapter itself has to be thick enough to support itself and the lens. As the sizes are so close to one another, there is not enough room to create the adapter and retain infinity focus. As such, the adapter is made slightly thicker to improve the strength of the adapter, but you lose infinity focus. 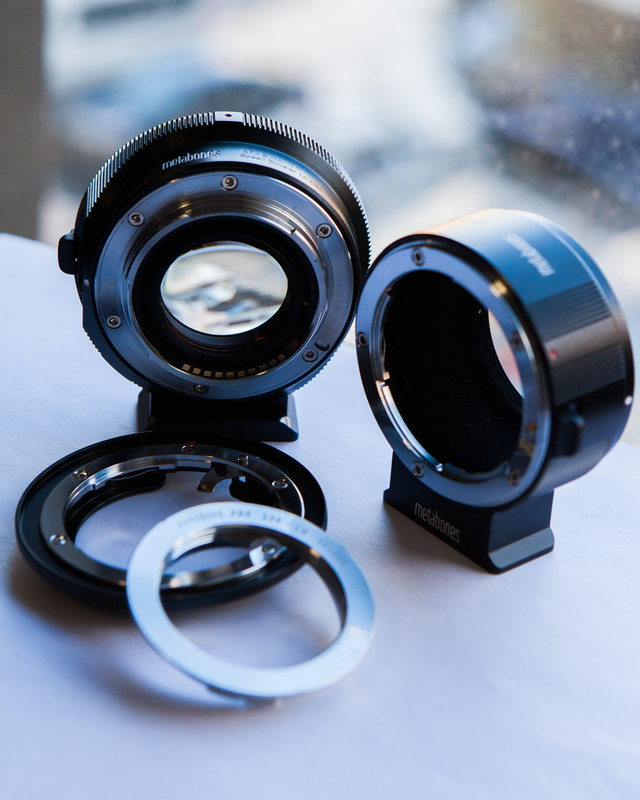 Thus, all MD-to-EF lens adapters we carry have a corrective optic to make the lens usable and retain infinity focus. We have no adapters without optics that would allow you to connect a Minolta MD lens to the Canon EF lens mount. If you do find one or make one, simply note you will not be able to focus out to infinity with the adapter without corrective optics. I use my Canon EF lens mount cameras in semi or full MANUAL mode including focus. I know buying a mount adapter will effect how much light reaches the sensor and (IF LENSLESS) that the adapter will fall short of the effective infinity focal range. My dozen beautiful Minolta MD glass to Canon EF mount, in my case. what no one seems to be asking is HOW MUCH will their particular adapter will cause closer focusing. My 44.5mm mount to 44mm mount adapting seems to be very little, so is it fair to say IN MY CASE, ONE OR TWO F/STOPS will more than compensate lack of infinity focus via depth of field? I hyperfocal focus subjects every time, so this info is more important to me. Poor folks whose adapter introduces a few more mm's of "extension tube" distance. Its been many years since photo college. My books dont cover adapter or extension tube calculations or I would calculate it myself. If you folks have a focus-compensation-value ppl could use in conjunction with your mount-mm table,mthat would be great. Or in my Minolta to EF case, a maximum focal distance compensation calculation I can apply on my various lenses I have would be appreciated. Otherwise, I will seriously consider a NON INFINITY compensated adapter, avoiding quality issues of adapter glass,mfor hyperfocal focusing technique IF POSSIBLE. I have quite a number of non-AI Nikon lenses for my old film cameras. Do you have an adapter that would allow these non-AI lenses to be used on a Canon EOS Rebel T6 camera? Thank you in advance. I would recommend either the FotodioX Pro Lens Mount Adapter for Nikon F G-Type Lens to Canon EF-Mount Camera with Dandelion Focus Confirmation Chip, B&H # FOPCECANG, or the Vello Nikon F-Mount G Lens to Canon EF/EF-S-Mount Camera Lens Adapter with Aperture Control, B&H # VELACEFNG, for your planned usage needs. I am not sure how the adapter will perform with a Nikon pre-AI/non-AI lens made before 1977, but as there are no need for coupling the meter (as the lens would be fully manual and would not meter on a Canon camera), the above options would be the best recommendation for your usage need.